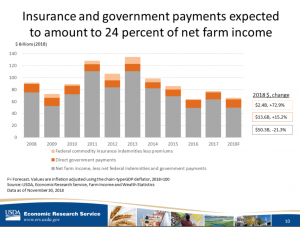 The USDA’s Economic Research Service (ERS) indicated on Friday that, “Net farm income, a broad measure of profits, is forecast to decrease $9.1 billion (12.1 percent) from 2017 to $66.3 billion in 2018, after increasing $13.8 billion (22.5 percent) in 2017. 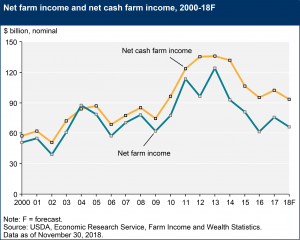 Net cash farm income is forecast to decrease $8.5 billion (8.4 percent) to $93.4 billion. 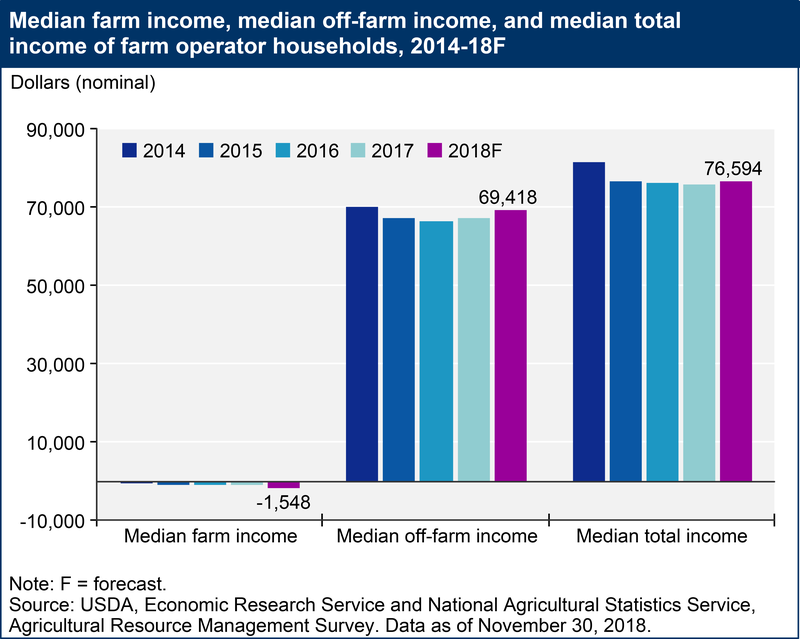 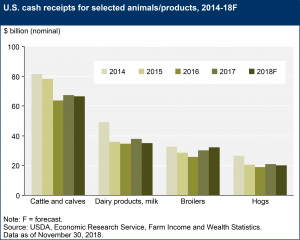 “2018 Farm Sector Income Forecast,” November 30, 2018 (USDA-ERS). 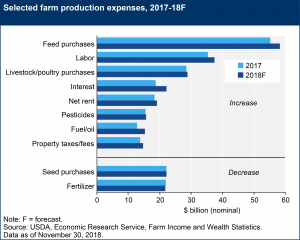 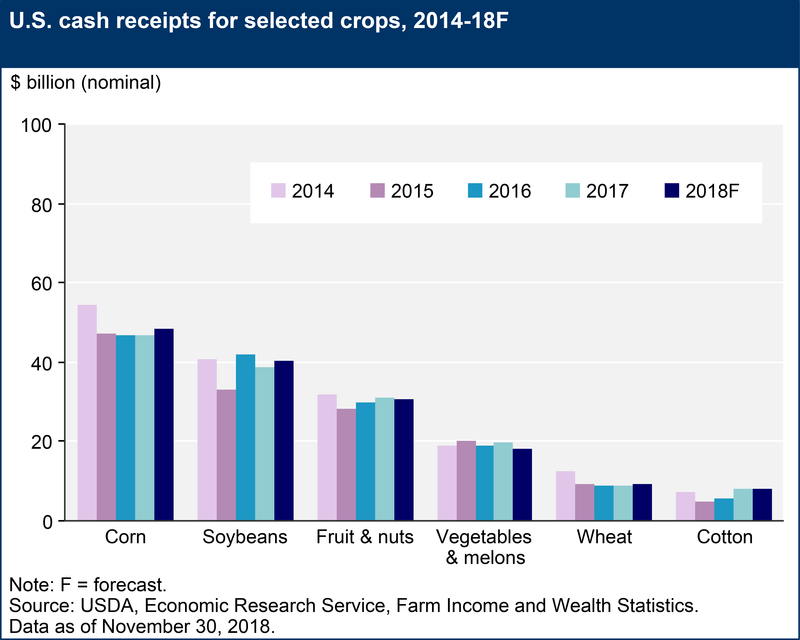 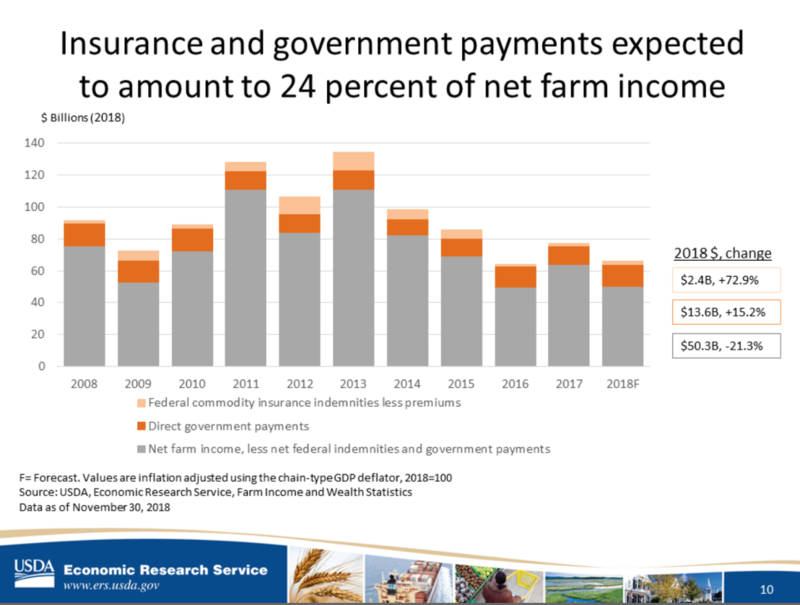 “In inflation-adjusted 2018 dollars, net farm income is forecast to decline $10.8 billion (14.1 percent) from 2017 after increasing $13.0 billion (20.2 percent) in 2017. 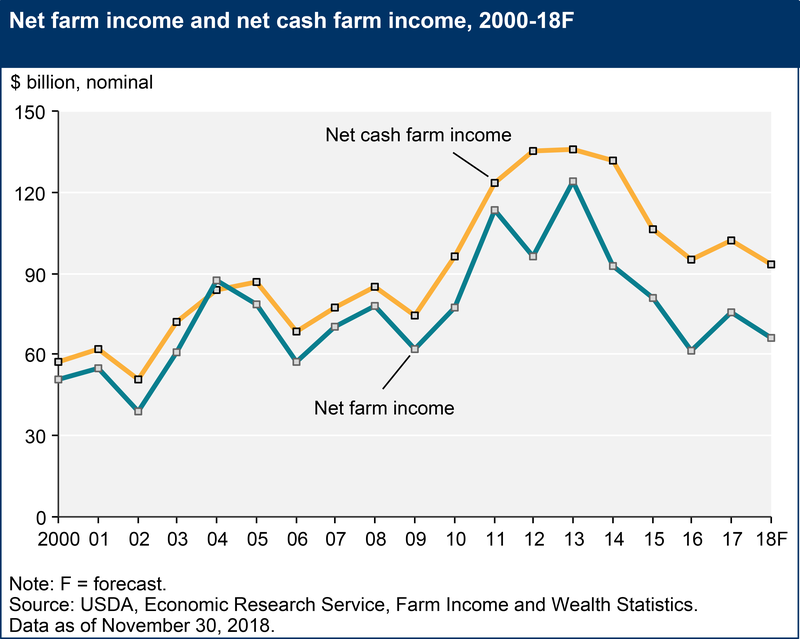 If realized, inflation-adjusted net farm income would be 3.3 percent above its level in 2016, which was its lowest level since 2002. 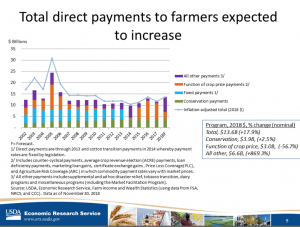 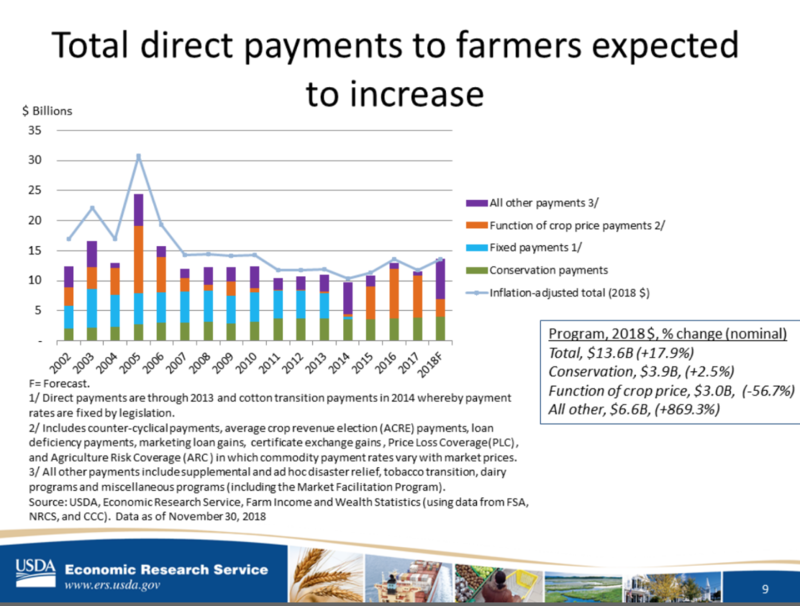 USDA- Economic Research Service Webinar, “Farm Income and Financial Forecasts, November 2018 Update” (November 30, 2018). “U.S. 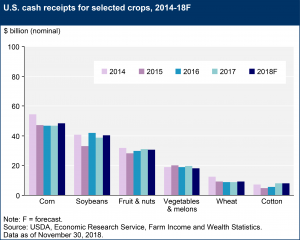 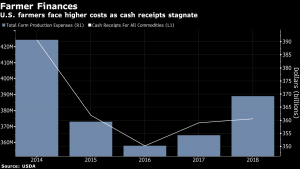 Farmers Squeezed by Rising Costs as China Trade War Escalates,” by Shruti Singh. Bloomberg News (November 30, 2018). 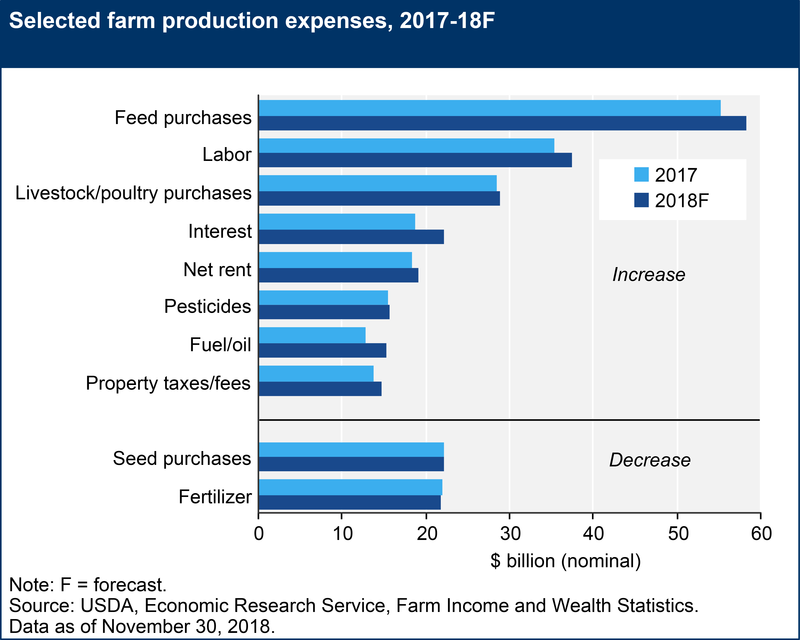 “2018 Farm Sector Income Forecast,” November, 2018 (USDA-ERS).